Is EVE a bad game, or is it just you? 1 – One must be involved in an activity with a clear set of goals and progress. This adds direction and structure to the task. 2– The task at hand must have clear and immediate feedback. This helps the person negotiate any changing demands and allows them to adjust their performance to maintain the flow state. 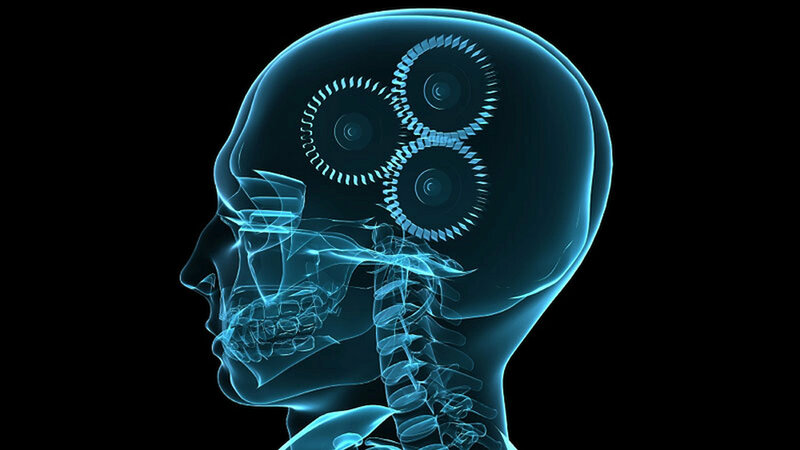 3– One must have a good balance between the perceived challenges of the task at hand and their own perceived skills. One must have confidence in one’s ability to complete the task at hand. 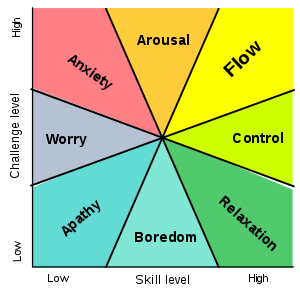 This chart represents the different mental states brought on based on the perceived difficulty of the task, as well the perceived skill in that task. The biggest key here is the word “perceived”. This has nothing to do with the actual skill needed or held by the user, but rather how they see the challenges before them. Additionally, while achieving flow maybe a goal for some, seeing the cause of the other states can be likewise incredibly useful to analyzing EVE’s strengths, and more importantly, it’s weaknesses. The first thing that stands out is the “starting point” for new players. EVE Online has quite a reputation for being a ‘hard’ game, and nothing in the start of the game does anything to convince the player otherwise. Much of game is not covered in any tutorial and even the parts that often leave the player more confused than empowered. 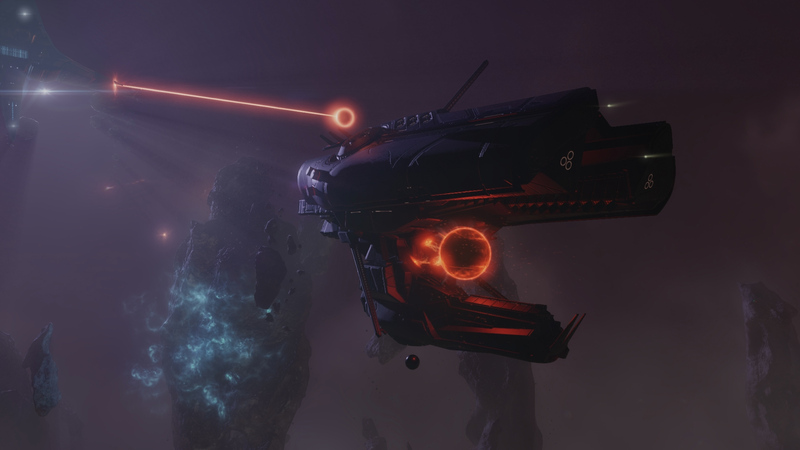 The lack of direction in EVE is one of its biggest strengths, but to a new player, it often sits as the unpassable cliff. This is so true it is one of the biggest memes to resonate with EVE throughout the years. So the game starts with a very high perceived difficulty, while at the same time leaving you with the sense of exactly how little you know. This presents most starting players with a sense of anxiety. Additionally, this is one of the reasons I often describe EVE as being “Dark Souls” like, as the initial experience is designed to either intrigue or intimidate. The second stage generally begins as the player begins trying their first steps of player agency. All too often this either means being lead to missions, or absorbed into larger organizations that will at best teach, and at worst simply direct them to the simplest set of tasks to accomplish the goal (read: become an F1 monkey). In either case, the game rapidly exposes itself for the paper tiger it is. While the entirety of the game is complex and daunting, any given task can often be simplified and distilled down to very basic components. What this means in practice is the perceived difficulty rapidly drops off as one begins to understand the tasks they are trying to master. To put it another way: the first time you run a mission it can be challenging, especially without a guide, but as soon as you have one, and have run it a few times, it becomes trivial to be successful. In the end, the perceived difficulty rapidly changes from insurmountable to trivial. However, this often occurs with very little feedback as to whether or not your skill has improved. Completing tasks is often more about knowing what to bring, and the exact steps to perform, rather than an attempt to “get good” at the game. On top of that the very tools that should be useful for feedbacks, such as killmails, instead almost distract from learning and being a better pilot. You especially see this in the fact that the playerbase has distilled down what they can measure and lift them up as metrics to live by: Isk/hour, killmails, and total wealth. What this means is that most players end up believing they are as good as their own mind leads them to believe. Human psychology leads us to create a warped view of our own capabilities, and as mentioned EVE does very little to challenge your own perceptions of skill. 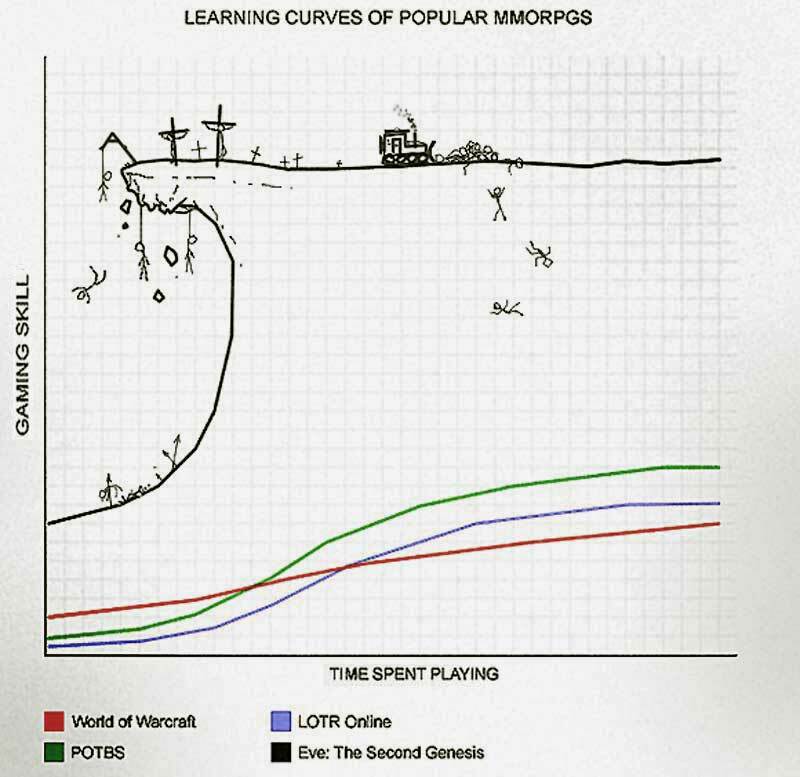 These two factors when combined ensure that during almost any PvE experience, (but really it’s most of EVEs moment to moment gameplay) the player ends up in one of the bottom three emotional states, based on their own level of delusion. Of course this changes in PvP environments. When challenged by other players it is far easier to get a feel for when and how you’re making mistakes. Additionally, the biggest strength of any PvP is maintaining a good “perceived” challenge; even those who do well attribute it to their own skill more often than to a bad opponent. This is why most players who do PvP in EVE achieve “the shakes” as they enter into a state of high arousal. Few reach flow within EVE, it is a state mostly reserved for FCs, mission blitzers, and multiboxers, but I don’t think that is necessarily a problem. EVE is about many different emotional states, including all of the ones on this chart. This system can also explain why many find mining “relaxing” and fleeting up “worrying”. If one feels that the task is easy, but yet they have gotten skilled at it, it can create a feeling of relaxation, and the drone of the mining laser strongly reinforces this. Additionally, even as players understand the game is not insurmountable, the challenges of stepping into a fleet, perhaps for the first time, can cause serious anxiety. At the same time, it can give clues as to how to move through the various states. I have often said, boredom is a mechanic of EVE that demonstrates to the player that they are doing the wrong thing. There is just too much to do in the sandbox of EVE to sit around doing something that makes you miserable. Just like with real life: how you make your money will end up defining you just as much as how you spend it. However, this doesn’t just become about distracting yourself from potentially bad gameplay by tricking you into alternative bad gameplay. Rather this is about knowing that truly understanding EVE is to transcend the tasks themselves and understand how they all fit together. The original Super Mario Brothers is an entire game built around the simple mechanic of jumping. The task itself is quite boring; only when put into the context of the larger does the mechanic remain engaging past a few tries. The key is you use the mechanic to achieve your goals. EVE is similar in this regard as the tasks themselves are quite simple. However, the more varied tasks you begin to obtain and master, the more the overall game of EVE begins to open up to you. It is far too easy to see fail to see the forest for the trees, especially if you don’t wander between the trees. The EVE skill system does a great job of reinforcing this actually. Skilling makes entry to a task simple, but mastery takes quite some time. This constantly reinforces the aspect of the game you are training towards, and in hope will give you a sense of progression as your move towards mastery. Even if you have no feedback that you are becoming more skilful, you know you will progress anyways. This also allows you to “conclude” training an aspect of the game and ask you to move on to find something else to train. Eventually, your training process becomes less a set of obstacles, but rather an increasing set of tools in your bag that you can draw from. An example of this being subverted is the mission system. Low-level missions offer minimal rewards and trivialized challenges. Low-level missions are almost exclusively run simply to get past to get to higher level missions. While this could be a good opportunity to allow the player to experiment and gain skills progressively, what ultimately happens is you progress in ship class, meaning you increase your ship size to deal with higher level challenges. This process doesn’t make the system incrementally harder, just incrementally slower. In many ways the final result is significantly earlier then the path travelled. The levelling process could have been used to allow players incrementally challenging PvE, but ultimately what we are left with is a grind that leads to an unchallenging yet sometimes risky repeatable quest system. No wonder many people hate PvE in EVE. If you do not set yourself to the task of somehow mastering missions, thus increasing perceived skill, all you have is boredom and apathy. Best time to move on to better things. The problem is if that many who get to this point have only this one view of the game, and thus quit disappointed and dismayed. Above all, what EVE lacks is handholding to show the links between its various systems. Almost all of EVE’s many systems and professions are interlinked in a web of dependencies and outputs. While some, such as industry inputs, are clear, other things like LP store tags are far more obtuse. It is difficult to understand how to obtain the things you buy from others on the market, and likewise, it is challenging to understand why someone might want what you are producing. Meanwhile, it is precisely this knowledge that leads players to be able to become engaged with the larger EVE picture. Some may argue that information such as “where to acquire” or “what is this used for” make the game “easier”. What it really does is clear the way to allow the player to understand and start making meaningful choices. Remember it isn’t the systems themselves that make things hard, it is the complex interactions of those systems, and the players working within the systems that create the high-end difficulty of play. So as it turns out EVE isn’t a “bad” game, it just has historically done a poor job leading players towards understanding what makes it “good”. But hopefully, that is starting to change. Abyssal Deadspace takes all of the lessons of where Missions fails and attempts to tackle them head-on. First of all, the sites are locked to cruiser only, meaning progression though will not just be solved by increasingly strong ships, but rather dealing with increasingly complex challenges. With those increased challenges comes increased rewards. While balance will be everything here, these sites have the chance to provide a great opportunity to both increases your own perception of skill and give yourself serious challenges. One thing this lacks is the positive feedback of doing well. The entire Abyssal engagement is simply to not die. If you survive the entire abyssal site and escape potential PvP after, you have the full reward. The most regrettable thing about the poor reward system of the Resource Wars sites is that the rest of the design was quite good. The best part was that after each site you were told how well you did, were awarded a medal, and given a bonus based on medal achieved. One example of how this could be implemented is putting extra containers in the final room, that will be destroyed at the 5 and 10-minute mark. Meaning you can get a bonus reward depending on how well you do specific parts, not just the binary result of getting out alive. Trying to understand what can make a good and engaging PvE experience that stays true to the nature of EVE while helping players increase perceived and actual skill should be at the forefront of any PvE rework and explains why we see the kinds of solutions CCP have come out with. However, even beyond all that you see this playing out in the feedback coming in new killmails and character stat tracking coming soon. These will give us a much greater understanding of how we are doing, especially for support roles like logistics. While it will still be quite easy to be “lost in the sauce” in large fleet fights, in small fleets and solo this additional feedback may be critical. Many other online competitive games have complete breakdowns of what kills you, and in this way, EVEs killmails lag behind in sophistication. Again, I hear some complain that such information should be obfuscated, but ultimately if you want a more functional player base you need to provide them with the tools to understand. In the end, finding your flow in EVE is challenging, it often takes years to achieve enough confidence and mastery, but is rewarding nonetheless. However, understanding flow theory allows us to understand how EVE online impacts us on an emotional level, and how those emotions work to introduce unique experiences to EVE but also turn away people while burning others out. Ultimately, it isn’t the game’s systems that hold back EVE, but rather the tendons between the systems. EVE is best when it is experienced most, and the best thing we all can do is to encourage each other to try to understand EVE to an ever-increasing level. For there is the real flow.